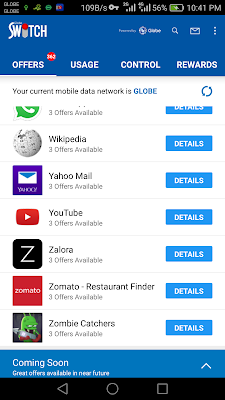 Globe Switch is an android app by Globe Prepaid that features list of available paid and free promo offers that requires internet access, but these offers are only limited to selected apps only. A Globe Switch Bug 1GB data was discovered before to maximize its usage. Now, you can have 3GB data free internet from Globe Switch by using HTTP Injector or Postern VPN which can be used on android phone, PC or laptop. This offer is available to both Globe and TM prepaid subscribers. This Globe Switch Free Internet with 3GB data is very useful for streaming videos like YouTube and Anime, playing online games like Mobile Legends or EverWing, browsing Facebook, Twitter and Instagram, doing other internet activities like online shopping, online chat, email and research purposes. 1. Install Globe Switch app to your android device and enable your mobile data. 2. Open Globe Switch app, turn it on by tapping the letter 'I' on the word SWITCH and you will notice a 'key icon' on the top of your screen. 3. Under 'Offers' tab, redeem available Free Offers with 100mb/day and proceed redeeming all offers with 20mb/1 hour which will took you about 10-20 minutes. 4. After you redeemed all available Free Offers, close or force close the Globe Switch App (Go to settings > Apps > Globe Switch > Clear Data > Force Stop) then activate your HTTP Injector or Postern VPN. It will successfully connect to the internet. 2. 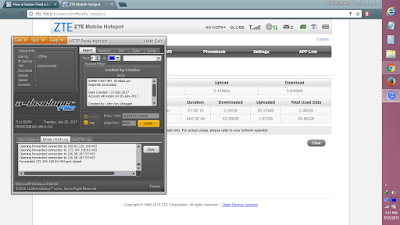 Install and run HTTP Proxy Injector and it will successfully connect to the internet. 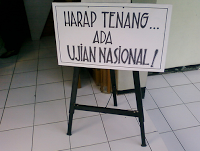 Open the app, register your mobile number. On Data Balance, you can see the remaining data and expiration data of all your subscribed promos including your Globe Switch. If you encounter this problem on redeeming offers, "Activation Failed. <Name of App>: Sorry, your request cannot be processed at this time. Please restart your phone or Switch and try again. (error code 220)..."
Just go to your phone Settings > Apps > Globe Switch > and Tap Clear Data. The expiration of Globe Switch data depends on the validity of the offers and your usage. You can redeem data of up to 9GB depending on available offers, but 3GB data is still recommended to redeem since Globe will block your sim if you exceed over 3GB of data consumption in a day. Redemption of Globe Switch offers is up to 3 times only for a Globe/TM sim, if your redemption reached the 3 times limit, just buy a new Globe/TM sim amounting 40 to 50 Pesos depending on the store price. Disclaimer : This free 3GB data from Globe Switch might gone or changed without further notice because it depends on data offered by several apps included in G-Switch. If you have any concerns regarding this tutorial on How To Get 3GB Free Internet From Globe Switch (Globe and TM) Using HTTP Injector or Postern VPN - for android phone, PC or laptop, you can leave your comment below.